The tiny piranha's reputation as a ferocious maneater can be traced back to a surprising source: Teddy Roosevelt. 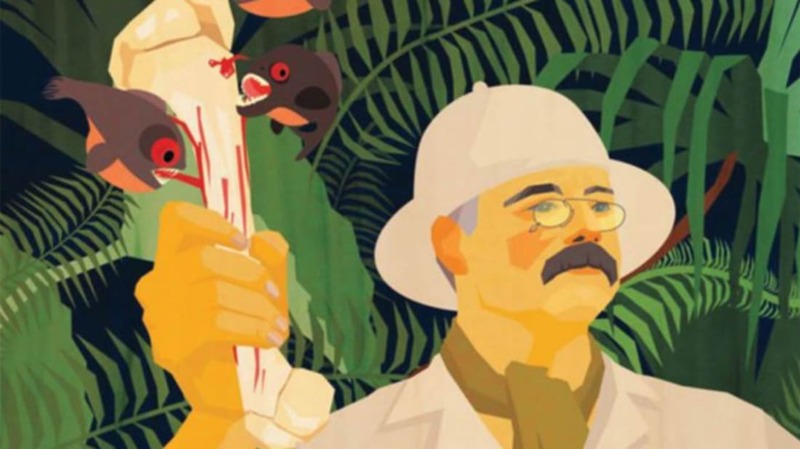 In 1913, the former president made a much-ballyhooed trip down the Brazilian Amazon. Like anyone hosting a dignitary, the locals wanted to put on a show for Roosevelt. So days before the roughrider arrived, they used nets to block off a section of the Amazon. Then they caught piranhas from other parts of the river and tossed them into their makeshift aquarium, all while keeping the fish unfed. When Roosevelt rolled into town, the locals finally appeased their captives by chucking a live cow into the water. The piranhas wasted no time. As they sank their teeth into the meat, the water foamed up and turned red. In minutes, the cow’s skeleton was all that was left. To Roosevelt’s eye, the piranha seemed like a perfect killing machine. He wrote at length about the fish’s bloodthirsty disposition and grisly efficiency, saying, “The head with its short muzzle, staring malignant eyes, and gaping, cruelly armed jaws, is the embodiment of evil ferocity; and the actions of the fish exactly match its looks.” Americans, for their part, devoured the beloved president’s travel memoirs, and suddenly every river and lake seemed a bit more ominous. This article originally appeared in mental_floss magazine. Get a free issue here!